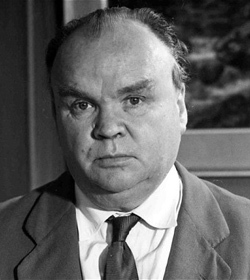 Cyril Connolly. Cool. I was bemused that it was my dear brother who shall remain nameless that introduced this Cyril Connolly quote to me. I wasn’t familiar with it. It’s me, not him, that’s read Cyril Connolly, including Enemies of Promise, The Unquiet Grave, and, in addition, The Evening Colonnade. My brother is the last person I would have thought could and would quote Cyril Connolly, especially to me. After all, it was me who held him in my arms when he was a little baby. At the age of two as he sat on the kitchen counter, I, many years his senior, gave him a little brotherly kiss he was so cute. I could have dropped him on the floor. Now he does this. This is a picture of my brother. He looks a bit grumpy, and, you know what? He can be a bit grumpy. But he’s a man among men and there are manifold reasons in this fine world to be feeling, on occasion, grumpy. I’m grumpy myself occasionally, but is that any reason to back off from denouncing my brother? 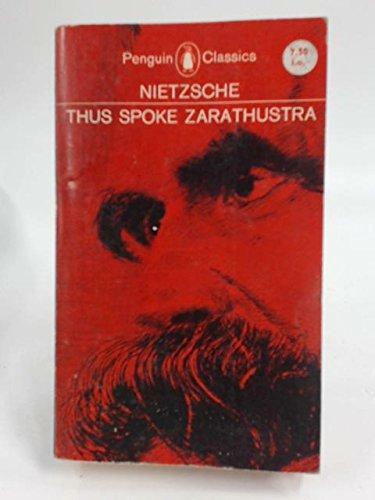 If I’m Friedrich Nietzsche I say, “No reason at all.” If you think you can get out of Eton College and Balliol, Oxford you’re bloody soaked, man. You’re for it. With nothing to show but the brilliant man you are? It could be worse. I mean as Oxford goes you should have seen my rooms in Magdalen. I remember looking up that staircase and thinking, “Is this medieval set-up something I’m dying to do? I don’t care about the ‘Deer Park’. There’s plenty of bloody deer back home.” I chuffed it but Cyril Connolly stayed on across the street, decades earlier, and I was thinking about that boarding the train. And so, years later, I visited the stacks and had a look at my much depleted Connolly collection, noticing how old it’s looking. “The Unquiet Grave” is a paperback edition published in 1967, years before I was born. “Enemies of Promise” is a 1976 paperback edition and looks in worse shape, today, than me. I remember when it was a fine new paperback I bought at the bus station in Tulsa on that nightmare trip to Oklahoma. It’s terrible. The pages are dark with discolouration and when I searched for a favourite old remembered section the spine broke. Crack! It was a little “crack” but it made a big impression. Right at that instant something changed for me. I knew I had to have a new copy. And I really hate discolouration. Even the word makes me puke. 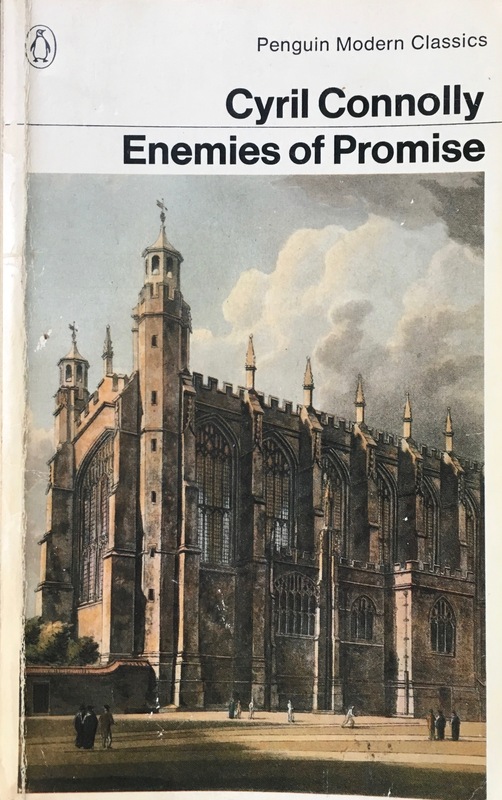 Because I’m smart I knew that the University of Chicago Press had brought out a new edition of “Enemies of Promise” awhile back. And that there were likely scads of copies lying around even now, looking for buyers, because there just aren’t scads of people interested in literature although there are scads who don’t even know what that is. So I’ve ordered a copy that should be here just in time for Christmas. Cyril was obviously talking about the semi-useless art of blogging. He was psychic, far ahead of his time. Blogging’s a bit like smoking cigarettes, something else I gave up awhile ago. You keep hoping the next one will taste better and that’s why you keep lighting up. There’s more I could contribute to this important discussion but we’re off to get a tree and I just don’t have any time right now. Plus the “Snow Warning” has ended on the weather site, but that has had no effect on the fact it’s still coming down. So it’s time to move into traffic and maybe get in an accident.